A hard wearing amenity mixture for a court and baseline use. 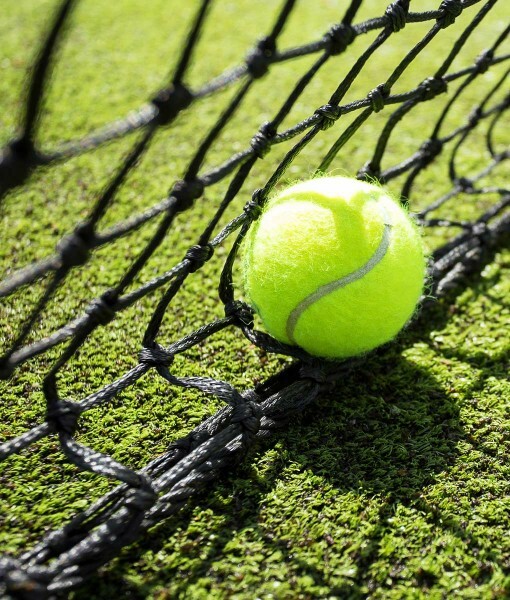 There are three important characteristics required from amenity grass seed mixtures intended for a tennis court or lawn. The resulting turf must be resistant to abrasive wear, be uniform and consistent to produce the required playing surface (for regular ball bounce and control). Disease resistance of the grass species and varieties is also high on the agenda and goes a long way towards maintaining a quality playing surface even during hot or humid weather, particularly when the turf is at its most stressed due to frequent summer play. Our Tennis Court mixture has been carefully formulated to meet all the demanding requirements for uninterrupted use on a well managed turf. Average Tennis Court = 490 sq m (including baseline and side skirts).